When I was at Bible College, one of my professors once commented, “Leviticus is dry as snuff.” On another occasion, I was checking out a Leviticus commentary. Based on how it looked I thought it was brand new. Then I saw the copyright which said it was 20 years old. It just hadn’t been touched yet. 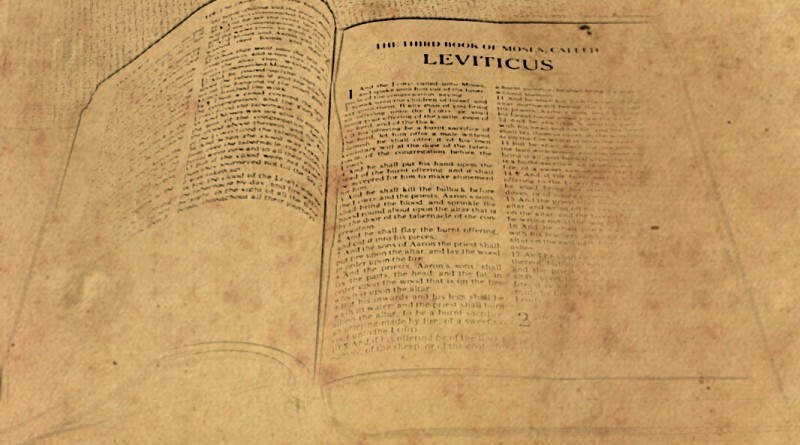 Let me be clear and unashamed: Leviticus deserves better! It’s rich with terminology that make up crucial elements of Christian evangelism and discipleship. And more than anything, it teaches us why Christ’s death was important. If there are 26 chapters in the Bible that I wish everyone would read before March 25th this year, it’s these! Levitical themes give us a framework for how God forgives and reconciles us to himself. And when Jesus came to die, he filled and completed that framework like Alfred Hitchcock filling his profile in the intro to his old TV show. I will elaborate on five things that fascinate me about Leviticus. These five themes help me appreciate and even “get” Jesus’s death. These five things are very much in the heart of the Gospel and are perfect Good Friday meditation focuses. First, there is the atonement. This is a word I use purposefully and without apology and without any attempt to make it less religious sounding. Some words need to be unique to Christianity to show how unique is our belief system and Christians should know what atonement means. It’s foundational to God-human redemption. I often explain this word with a triangle with three words or phrases representing the sides: “God’s wrath satisfied,” “Forgiveness” and “Substitution.” The word itself carries the idea of “appeasing,” or “satisfying completely.” In Leviticus and the OT as a whole we can see God’s wrath being the object of this appeasing. And in Leviticus we see God use the word to describe what the sacrifices would do to help the people find forgiveness of sin (Leviticus 4:20-35, 5:13-16, 17:11, etc.) 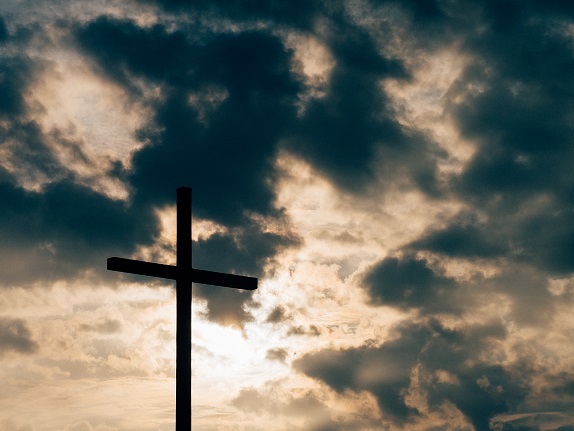 Many of the uses of the word “atonement” in Leviticus are followed by the phrase “they will be forgiven.” And to make atonement in Leviticus, an animal had to die in the place of the person who was guilty, i.e., a substitutionary sacrifice. So when John the Baptist said of Christ, “Behold the Lamb of God who takes away the sin of the world!” it would have held special meaning for a student of Leviticus. 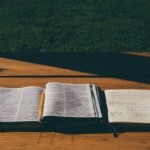 When Paul in Romans or John in 1 John says that Christ is our “atoning sacrifice” or “propitiation” (basically the same thing), they are hearkening back to a Levitical concept that now teaches that we find forgiveness through Christ, that he died in our place and that God’s wrath was satisfied by his death. Leviticus uses the word atonement more than the rest of the Bible combined, at least in the ESV and NIV. And its fullest definition as an essential piece of our theology is found there. Second, the atonement involved the sacrificial system. This was clearly designed to point us to Good Friday Jesus and His cross. God says at least 17 times in Leviticus that his people had to offer an animal “without defect.” Since Christ was without sin (2 Corinthians 5:21), he met God’s requirements for sacrifice. And by way of contrast, we should be extremely thankful for Christ as our sacrifice since both Paul and the author of Hebrews make it clear that Christ’s sacrifice was “once for all” so we no longer need to do what they were commanded to in Leviticus. Hebrews says it this way: “For Christ has entered…not to offer himself repeatedly, as the high priest entered the holy places every year with blood not his own…But as it is, he has appeared once for all at the end of the ages to put away sin by the sacrifice of himself.” To understand and value what Christ accomplished that Friday morning, to even understand the book of Hebrews, you need background in Leviticus 1. Third, the person in charge of the sacrifice was the priest, a third timeless theme in Leviticus that helps us understand the role and nature of Jesus, and why he died. God gave Aaron and his descendants the ministry of the priesthood (Exodus 28:1) and their responsibilities were serious. in Leviticus 17:5, the people were instructed to bring their sacrifices “to the priest, that is to the LORD” meaning that bringing the sacrifices to them was essentially the same as to God because of their role as mediator in the forgiveness of sins2. Leviticus 4:26 (among other places) also makes this point after giving a regulation for the fellowship offering: “In this way the priest will make atonement for the man’s sin, and he will be forgiven.” In addition to the many other sacrifices and offerings, only the high priest could enter the Holy of Holies on the Day of Atonement (Leviticus 16; 23:26-32), a day when a special sacrifice was made for the sins of Aaron, his sons and all the people. They were the liaisons between God and his people. Their ministry was vital to keeping sinful man in communion with a holy God. The New Testament teaches the Christ is our high priest (Hebrews 4:14-15). When you understand what that meant to a first century Jew, you appreciate Christ even more. For decades, Christians have used the bridge illustration to witness to people, where Christ fills the enormous gap between a Holy God and sinful man. The origins and theology of this illustration can be found in Hebrews but also Leviticus. Christ is the difference. He did what animals could not – fill that gap sufficiently and eternally. They were the liaisons between God and his people. Their ministry was vital to keeping sinful man in communion with a holy God. The New Testament teaches the Christ is our high priest (Hebrews 4:14-15). Innocent animals died in Leviticus; an innocent man died in the Gospels. In both cases, the blood was necessary for forgiveness because it represented a (basically) fair substitution: another life. And this is why we drink the cup in communion today (Luke 22:14-19). The connection to Christ is simple. We are not God’s chosen people now because law or rituals make us clean, but through faith in Christ making us righteous before God. 1 Peter 2 explains: “As you come to him, a living stone rejected by men but in the sight of God chosen and precious, you yourselves like living stones are being built up as a spiritual house, to be a holy priesthood, to offer spiritual sacrifices acceptable to God through Jesus Christ…you are a chosen race, a royal priesthood, a holy nation, a people for his own possession, that you may proclaim the excellencies of him who called you out of darkness into his marvelous light. Once you were not a people, but now you are God’s people; once you had not received mercy, but now you have received mercy.” Christ makes us unique and set apart from the rest of the world, as God’s possession, when we come to him. The difference between me and the worst terrorist is that Jesus’ righteousness and death allow me to be justified to God, and therefore holy. A thorough reading of Leviticus can help you grasp what exactly that word means and why it’s important to God4. So there you go. The Gospel According to Leviticus. And excellent Good Friday background reading. Let us as Christians not bemoan this book for getting people bogged down in it while trying to read through the Bible in a year. Let us not call it dry or boring. Let us see Christ’s death the way the biblical canon wants it to be seen: with the importance of atonement, the significance of shedding blood, how it makes God our priest, how it obliterated the former system of sacrifice and for how it makes us holy to God. I love this book and I hope that understanding it in relation to Jesus helps others to as well. Good article, Gowdy. I appreciate all the thought and work that went into it, and how it shows your heart for God, and understanding of the atonement. I sure would love to come up to Chicago and see the Hispanic work there, but don’t know if it will ever happen. Blessings, Steve. We would love to have you up here, Steve. We are far from a perfect church but we do have a good mix of English and Spanish and many different types of people. Thanks for the compliment on the article. It was a grad school paper I redid to make it more enjoyable for our REO audience. Grad school work is rather tedious and wooden. 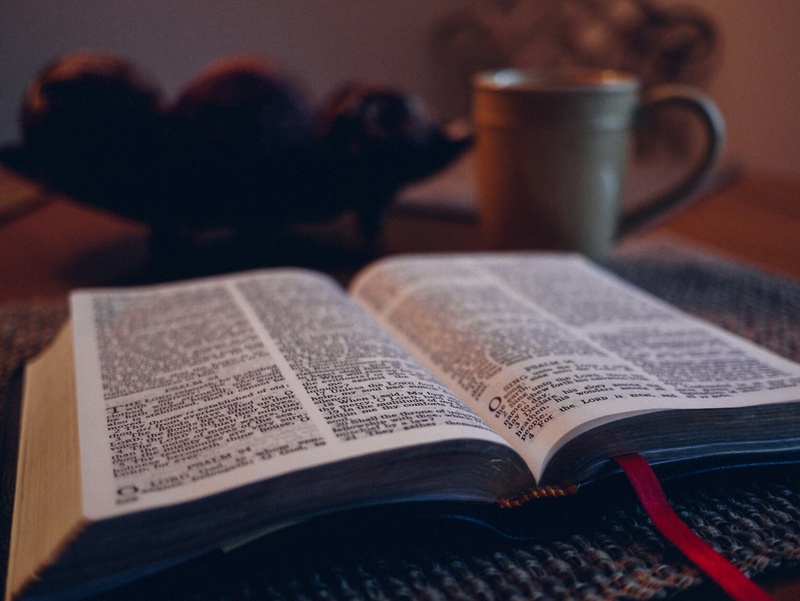 If you were trying to make me feel guilty about not reading Leviticus for fun, then consider this article a wild success! Ha! I came on a little strong. Leviticus is really my 8th favorite book. I read Leviticus about once a year. The thing that stands out to me is that the business of personal forgiveness and righteousness was a lot of work. This makes me more intentional about the way I lve. Gowdy, this is a wonderful article! I have people tell me they don’t read the Old Testament because they don’t get anything from it. This is a great example of our need to study the Old Testament. Thank you for sharing.